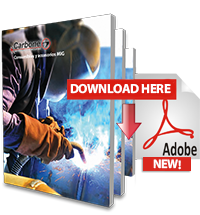 Carbone presents its welding line with MIG accessories. 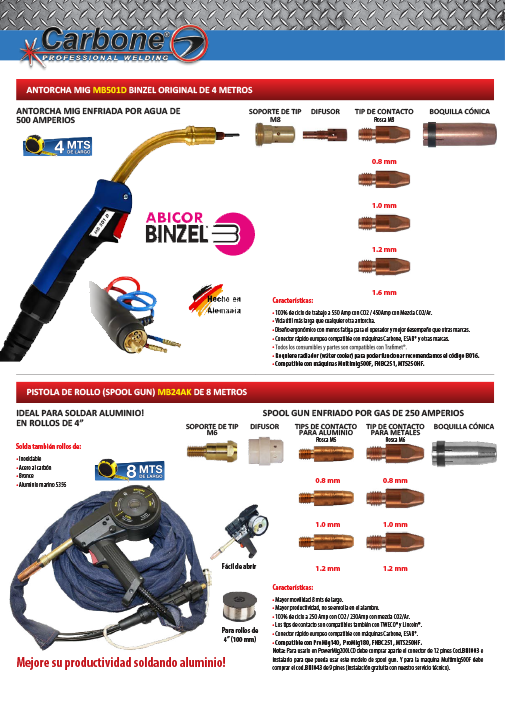 We offer accessories such as MIG Torch, Original Binzel 4 meters, MIG Torch, Original 4 meters Binzel, MIG Binzel Torch, 8 meters Spool Gun, Feed Rollers for PRO MIG 140/MULTIMIG 500f. Solid Wire Rollers for MIG/MAG Welding on steel, ruthilic tubular wire rolls, auto protected tubular wire rolls among others. Download our catalog to see the full list of products! Carbone presents its new line of machines and all their accessories. You will find a vast variety of machines to make MIG Welding. We offer a wide variety of machines with several characteristics that are ready to perform any work that you need.